Sam Cooper with HER Realtors did it again! Sam Cooper just sold another home in the desirable Longview Acres Pickerington Ohio 43147. Sam Cooper sold 144 Leasure Dr. for $185,000 which closed on August 30, 2012. 144 Leasure Dr. was listed for $188,900. 144 Leasure Dr. features 4 bedrooms, 2.5 baths, a family room with fireplace, living room, eating space kitchen, vaulted master bedroom, deluxe master bath with soaking tub and basement. Other amenities include a large front porch, attached 2 car garage and backyard deck. If you know anyone thinking of buying or selling a home in Pickerington Ohio, please have them contact Sam Cooper with HER Realtors. 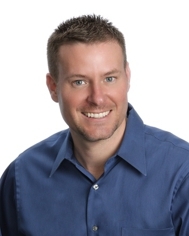 Sam Cooper is one of the top 1% selling real estate agents in Central Ohio ( 2009- 2012 ). Contact Sam Cooper Direct: (614) 561-3201. Buying or Selling in Central Ohio? Contact Sam Cooper HER Realtors today!